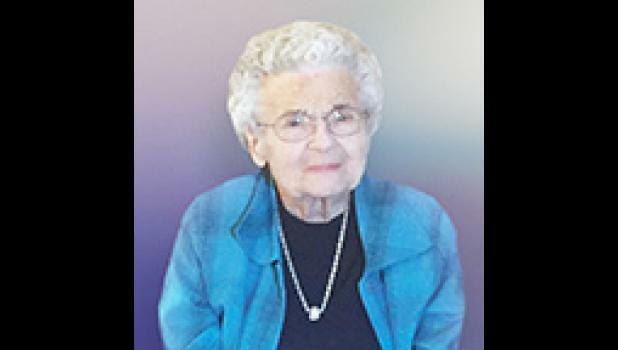 Mildred Pauline Johnson Davis, 97, formerly of Reidville, widow of Theron Eddie Davis, passed away January 22, 2019. A native of Spartanburg County, daughter of the late Thomas Perry and Mary Morgan Johnson, she was a retired employee of Lyman Printing and Finishing and a member of Tabernacle Baptist Church. Surviving are a daughter, Elizabeth Jennings of Greenville; two sons, David Davis (Nancy) of Greer and Rev. Sam Davis (Jimmie) of Spartanburg; one brother, Carl Johnson of Lyman; one sister, Margie Keefe of Fayetteville, North Carolina; seven grandchildren; 20 great-grandchildren; and 19 great-great-grandchildren. Mrs. Davis was predeceased by a son, Dwight Eddie Davis; two brothers, Norman and Jesse Johnson; one sister, Lucretia Satterfield; and a son-in-law, Thomas Jennings. Funeral services will be held 2 p.m. Friday, January 25, 2019 at The Wood Mortuary, conducted by Dr. Joel Logan, Rev. Sam Davis and Rev. Hobart Stephens. Burial will follow in Wood Memorial Park. Pallbearers will be Jordan Davis, Steven Davis, Perry Gosnell, Harold Jennings, Jerry Jennings, Derek Parks and Eddy Turner. Visitation will be held 12:30-1:45 p.m. Friday at The Wood Mortuary. In lieu of flowers, memorials may be made to Tabernacle Children’s Home, 3931 White Horse Road, Greenville, SC 29611-5546.